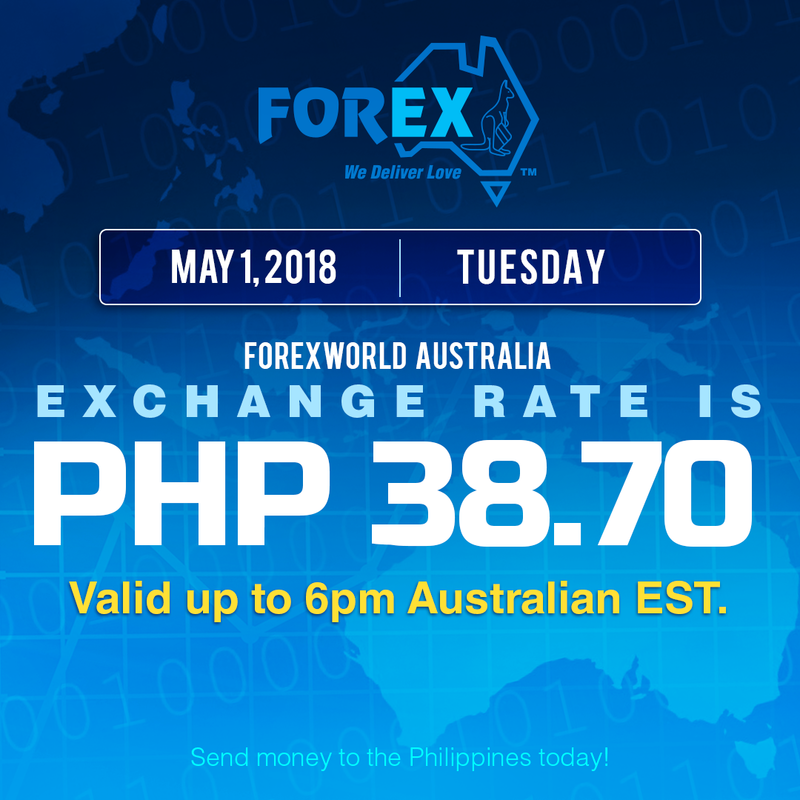 $1 is to PHP 38.70 Send money to the Philippines today, via online money transfer to the Philippines from Australia. For further info, Forex World Bank details, other promos and updates please Contact us at +61 2 87770000 or email us at customercare@forexworld.com.au. You may also use our live chat at https://www.forexworld.com.au/.